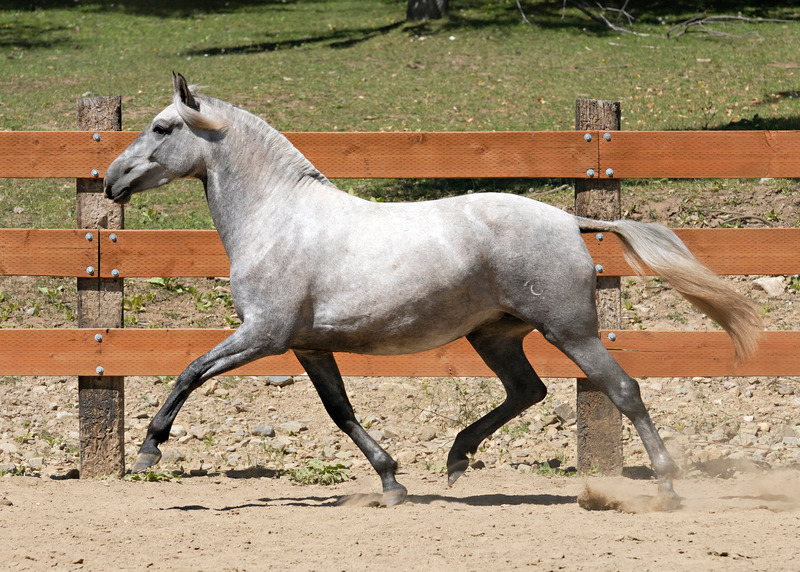 Grey, 2005 Revised PRE mare by the Multi-National Champion stallion, Kianto, out of Jackass Mountain Ranch's matriarch mare, Teresa. 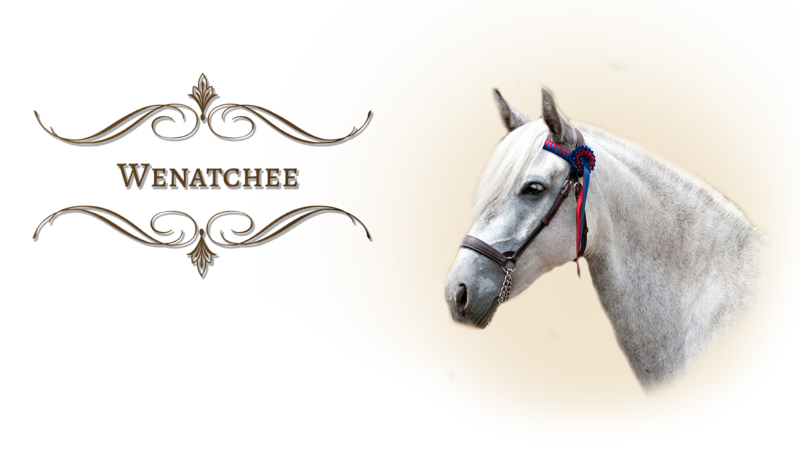 Wenatchee comes from a long line of Champions, carrying both Temerario V and Genio III bloodlines. She is a beautiful mover with a willing temperament that is a pleasure to work with. She is round and traditional in look with well proportioned, balanced conformation.